It may be June, but the holiday season is quickly sneaking up. Mickey’s Not-So-Scary Halloween Party begins in August, and you can now make dining reservations during both the Halloween party and Mickey’s Very Merry Christmas Party. Reservations open today for table-service dining at Be Our Guest, Cinderella’s Royal Table, and The Crystal Palace for times during Mickey’s Not-So-Scary Halloween (August 25 – November 1) and Very Merry Christmas parties (November 9 – December 22). 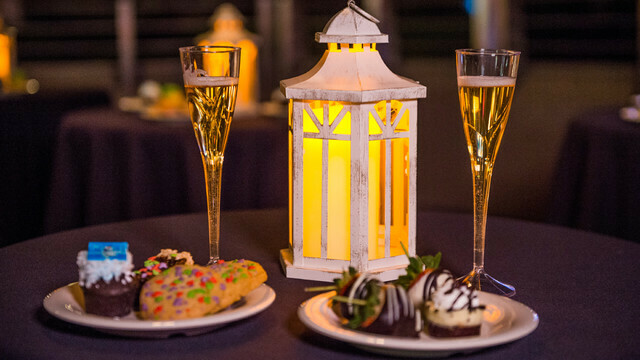 You can also make reservations for the HalloWishes and Fireworks Holiday Dessert Parties. To make reservations, visit the Walt Disney World website or call 407-WDW-DINE. To reserve dining during the holiday parties, you must have a valid event ticket for that night.